ISACA Membership provides a wealth of benefits to its members, including: discounts to educational training, certifications, and bookstore publications; access to the ISACA's award-winning magazine, the ISACA Journal; and access to the Knowledge Center, where IT professionals discuss and share common professional interests. Expand your professional development opportunities and influence your profession, Join ISACA Today! When you join GWDC, you also are required to join a local Chapter. The Greater Washington, D.C. Chapter serves the Washington D.C. metropolitan area. Our membership territory covers a 50-mile radius from the center of Washington, D.C (click here to view our territory map). If you have any membership questions, please contact the Membership Director. Discounts to Chapter Training: GWDC Members have the lowest registration fees for chapter events. If you attend just a few events, you can offset most or all of your ISACA membership fee. Training events include one-day conferences, multi-day seminars, and ISACA exam review courses. Volunteering Opportunities: As a Chapter Member, you have the opportunity to serve your profession and fellow Members as a Volunteer, Director, or Chapter Officer. Volunteering provides members with networking opportunities, opportunities to do something you're interested in, and ability to earn up to 20 hours of free CPE. 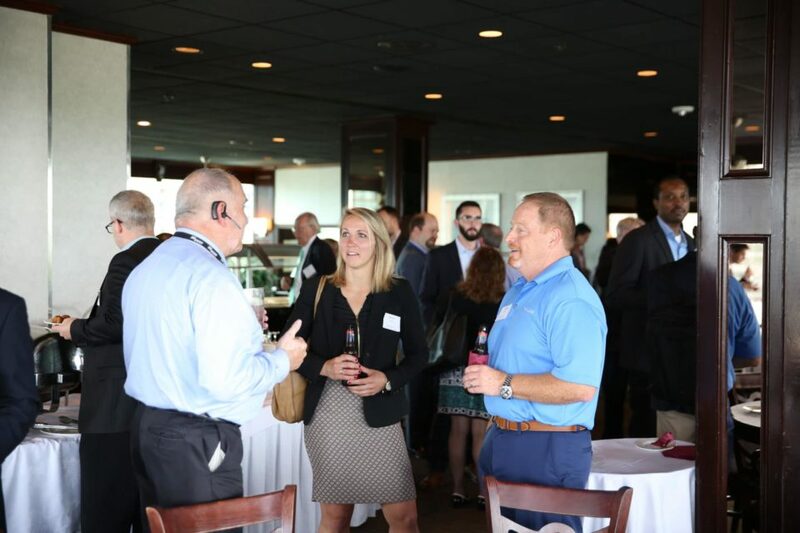 Networking Opportunities: The chapter periodically hosts networking socials to give Members opportunities to meet and network with other Members and grow your professional network. Many years we host a Golf Tournament and arrange a Day with the Nats. View the chapter events page for upcoming social events. Discounts to 3rd Party Training: Training providers periodically offer discounts to GWDC members. In addition, the GWDC Board of Directors periodically will negotiate discounts for GWDC members. Instructions and discount codes for training offers are posted on the Chapter At-a-Glance section of MyISACA. Chapter E-Mail List: The Chapter notifies GWDC members of chapter news and events via e-mail several times a month. GWDC members are automatically enrolled in the chapter e-mail list based on the information provided to International. The Chapter also updates the mailing list several times a month to keep information current. When signing up to be a new ISACA Member, you'll have a drop-down menu to select your local chapter. The GWDC is listed as "USA-DC-Washington: Greater Washington, D.C. Chapter (005)". Login to www.isaca.org and click on the MyISACA tab. Click Account and Demographic Info tab to display your current demographic information. Click the "My Demographic and Other Information” tab to display your current chapter. Select the “USA-DC-Washington: Greater Washington, D.C. Chapter (005)” chapter from the drop-down box. Please note, Changing chapter membership may incur additional membership fees if the chapter you're transferring has higher membership fees than you're a current chapter. Any additional charges will be invoiced by ISACA International. For Individuals interested in or employed in IT audit, information security risk and IT governance fields, ISACA professional membership equips you with the resources, training and education you need to expand your professional development opportunities. Student membership is for individuals currently enrolled full-time in accredited undergraduate and graduate programs. Become a Student Member and connect with industry leaders who can help you reach your career goals. For those that have just graduated from a college or university within the last 2 years, ISACA is proud to offer this brand new membership category. Position yourself for success in your chosen field by taking advantage of this unique membership opportunity!